How to recognise and support children who have this rare neurological condition. 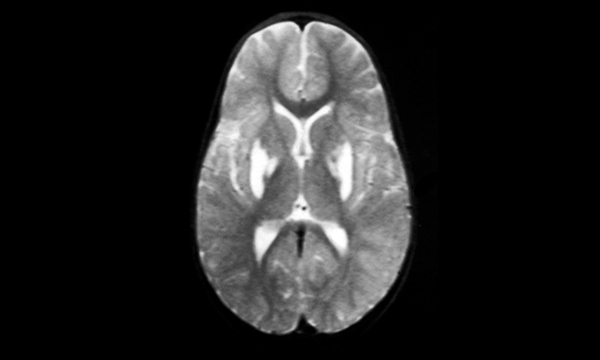 Children with Leigh syndrome have a sub-acute necrotising encephalomyelopathy which occurs early in life. Sometimes symptoms emerge following an acute event such as an infection or a surgical procedure. It has a poor prognosis. There are different inheritance patterns and although it is most commonly inherited through an autosomal recessive pattern, there are other modes of inheritance and genetic changes are complex. There is cell death in the brain tissue and these losses result in the characteristic lesions seen on the scans of infants. Other organs, such as the heart and muscles, are also severely affected. Although Leigh syndrome is rare and has been identified in all races it is more common where there are small gene pools. There is a trajectory of severity with some infants being intensely affected and dying early from respiratory failure and others, who have later onset disease, surviving into young adulthood. The malfunctioning of cells and tissues contribute to the signs and symptoms that are characteristic of the condition. These are gastrointestinal, neurological and mobility related. Vomiting, diarrhoea and feeding difficulties are caused by dysphagia which results in faltering growth. In children who are mobile severe muscle and movement problems develop leading to hypotonia and involuntary muscle contractions, and there may be problems with movement and balance. The neurological symptoms include seizures and an ophthalmological examination may reveal poor visual tracking, grossly abnormal eye movements and poor pupillary responses. Eventually the deterioration in vision will cause blindness. There is no cure and drug treatments that provides alternative energy sources for the cells may delay the progression. Some experimental treatments are available. Thiamine can increase cellular energy production. Reducing carbohydrate in the diet has been found to be beneficial and a ketogenic diet is usually suggested. Nursing care is entirely supportive, palliative and aimed at supporting the family. Thomas was born normally and seemed to do well initially. However, he was seen by a health visitor because of poor feeding, weight loss, general lethargy and rapid breathing. At the local hospital hypotonia, absent reflexes and a tremor were observed. He was transferred to a major children’s hospital where he had an MRI scan which revealed dilated ventricles and cystic brain lesions. The parents were informed about the neurological damage and advised that the condition was likely to be progressive and untreatable. They reacted badly to the news and asked for a second opinion. This confirmed the original findings, supported the decision for palliative care and for Thomas to be managed in a hospice. To make ventilation more efficient a tracheostomy was performed. When Thomas was stable on his long-term ventilation settings he was transferred to the hospice while a home care package was planned and his parents became confident in all aspects of his management. An end of life care plan was also formulated and included situations where resuscitation would be performed and active withdrawal of respiratory support accommodated.